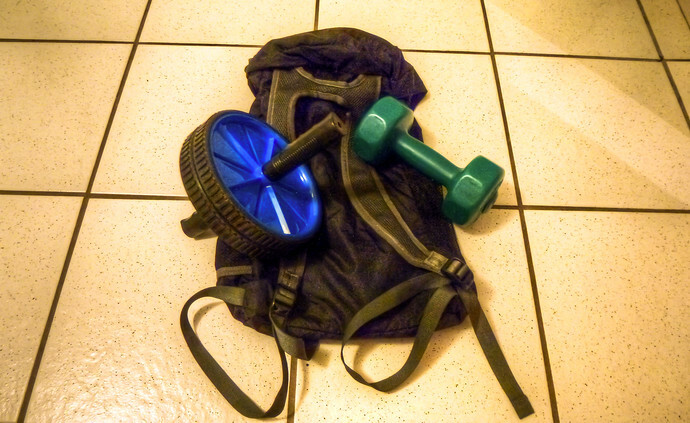 One of the more frustrating aspects of traveling for me personally – and I suspect many of you health nuts as well – is being able to maintain a workout regimen. The exercise part isn’t terribly difficult to muster but it’s cultivating a challenging routine in changing environments that often suffers from a lack of time, gyms, and equipment. Although body weight exercises like this 5 minute hotel room workout are effective at burning calories and slowing muscle mass loss (or fat gain) you’ll need some gear to push yourself. Since packing dumbbells isn’t practical (just imagine the luggage fees you’d have to avoid) instead of gravity, these tools exploit leverage, pushing your muscles to grow without the benefit of heavy weights. 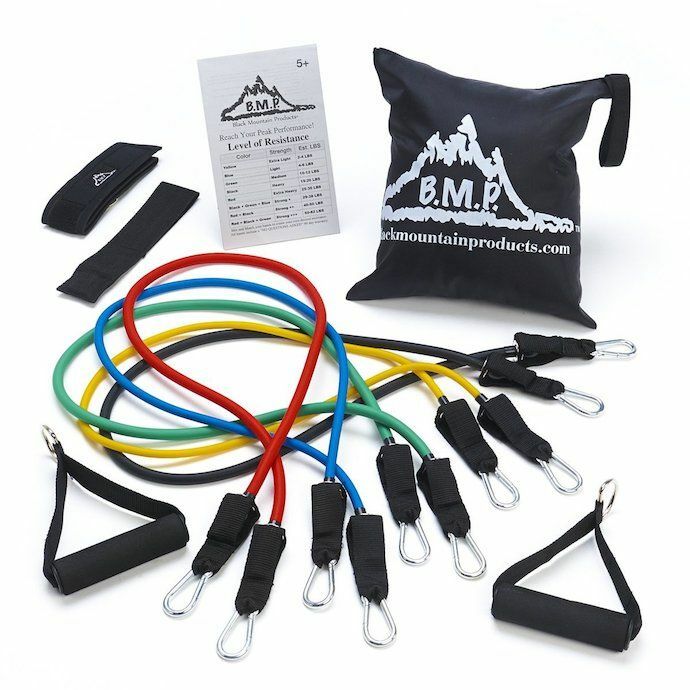 One of the best gifts travelers can buy before the end of 2013 are these highly durable Black Mountain bands that can give you up to 35 kilograms (~75 pounds) of resistance. Highly recommended by fitness expert Yasmin Al-Atrache in my September live chat, the kit also comes with ankle straps, door anchors and occupies only about 640 cubic centimeters (6 x 7 x 6 inches) just under 1 kilo (2lbs). Resistance Band Workouts – Men’s Fitness has an excellent full body workout (with video), Bodybuilding.com has two alternative routines, and Shape adds 9 low-intensity moves. Ab wheels are a somewhat neglected tool which provide an effective core and upper-body workout without the use of weights. For those of you unfamiliar ab wheel roll outs, this video shows a good example with proper form, and the clip below gives you an idea of possible variations. The ProSource wheels are smaller than shown in these video examples (roughly 15 cm or 6 inches, across) and I prefer them because they can be quickly disassembled for packing. The number of (proper) pushups you can do is a strong indicator of your overall fitness as well as a gauge of how well you might age later in life, according to most health experts. Using pushup handles can engage more of your chest muscles (since you can drop down further than a standard pushup) but a major benefit is strengthening your grip. And it’s not the guy or gal with the biggest triceps or bulging biceps that are the strongest in the gym, it’s the person who’s got the biggest forearms. 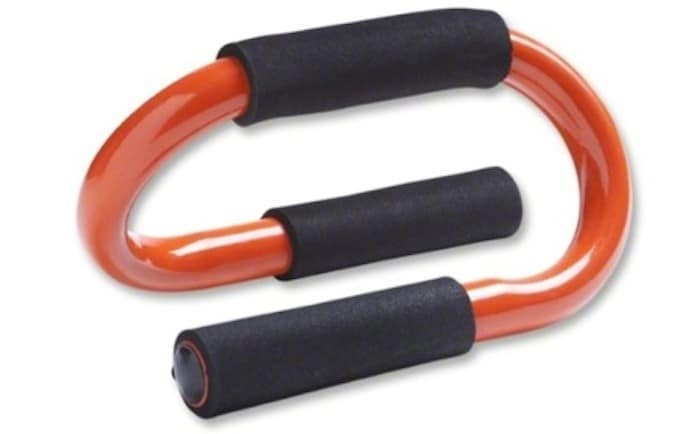 I recommend the Veloce pushup handles because of their simple, light design that make them a cinch to pack clothes around. I hate to break it to your friend who’s always going on about what a workout walking around a new city is but when you accurately calculate how many calories you burn sightseeing, it’s likely a lot less than you were hoping. Although any exercise is good exercise, the fact that you’re sore from walking for a few hours probably says more about what you need to be doing on a regular basis back home. 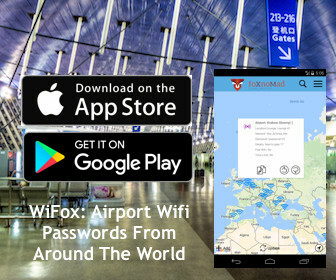 (The browser plug-in FitBolt can help.) Aside from strengthening muscles, exercise 3 hours before you need to sleep can induce the right amount of cortisol to get you to dreamland, helping you get back on schedule in a new timezone. Our bodies begin to lose maximum cardiovascular output after about 9 days and noticeable muscle mass after 3 weeks. The more in shape you are the faster it is to physically bounce back but to keep your motivation lifted at any level, don’t ever leave your workout (or portable equipment) too far behind.